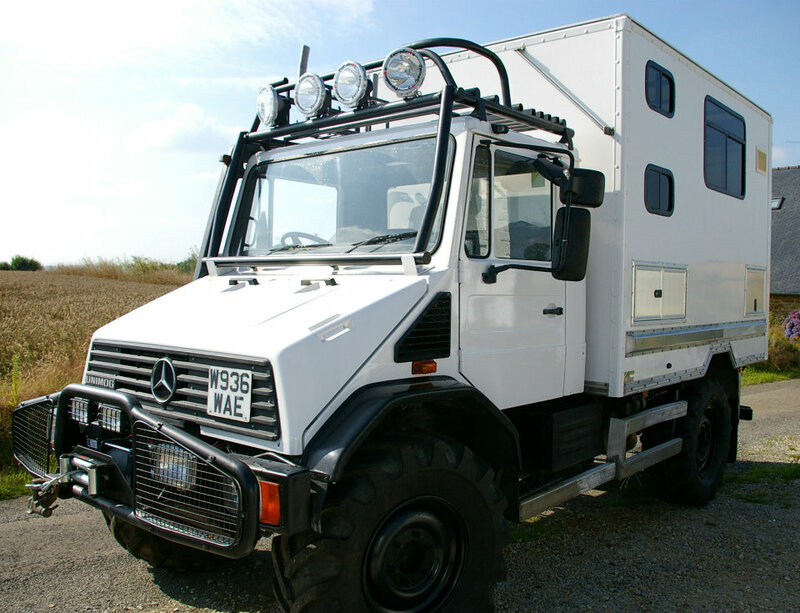 If you’re looking for a Unimog to convert, or want to buy someone else’s conversion, drop a bookmark on the Unimog Shop website. 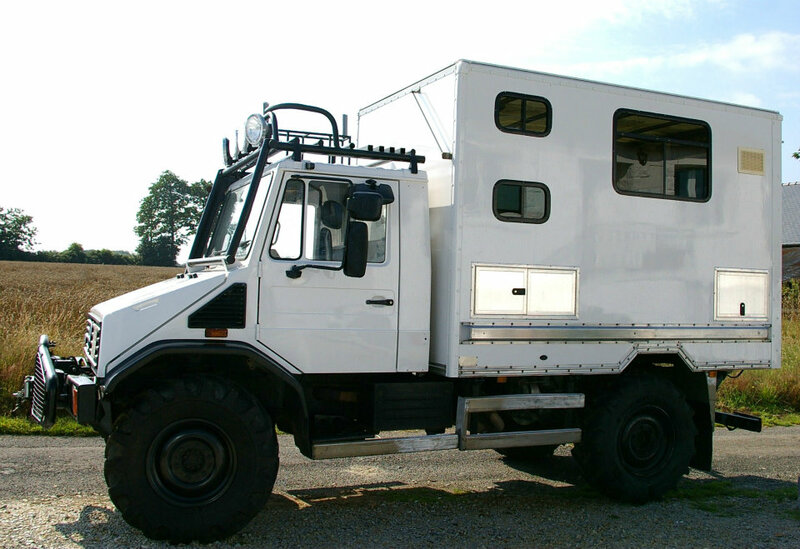 Unimog Shop is a Mogs-only classified site, and it’s full of everything from mid-’60’s 404s to nearly new U500s, in conditions ranging from beaters to drop-dead custom. 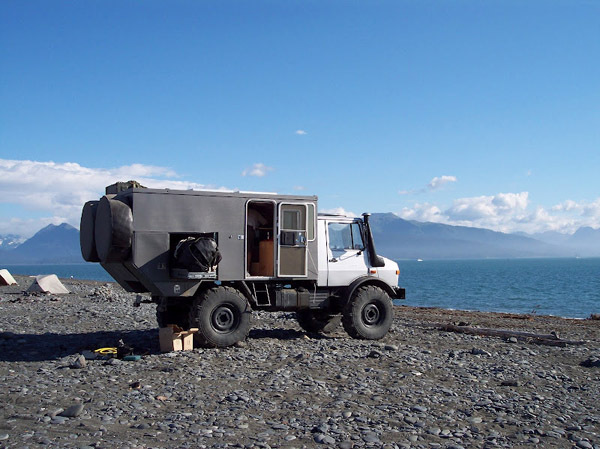 Currently there are two expedition campers for sale on the site, a silver 1978 U1300L in San Diego, CA for $55,000, and a white 2000 U1400L in La Doree, France for $49,000 (or 4.9 million dollars, I’m not sure). The silver one in California looks fantastic, but the ad is expired (it was listed in September 2011). There’s no indication if the rig has sold. The white Mog in France, however, was listed at the end of March 2012 and is still current. Let’s take a look at that one first. It looks great, but it’s really tall. They went with a full standing height box without any pop-up. 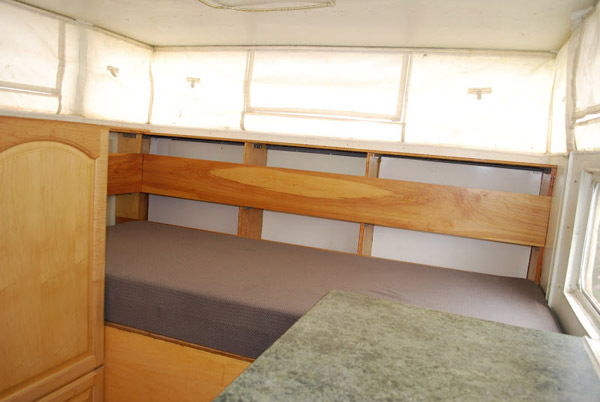 While the outside of the rig is very finished looking, the interior seems only about three quarters done. 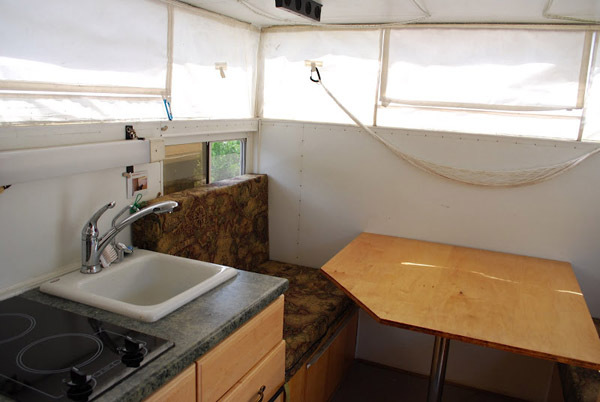 I haven’t been able to find any large photos of the interior, but if you click through to the classified ad you can sit through a YouTube video with some shots. 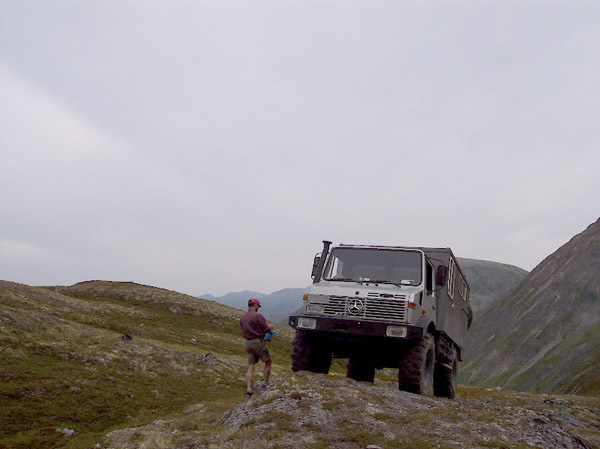 I wish the I had some good interior shots of this one, because the video, which is just a compilation of still images, surely makes the interior looks less than stellar. 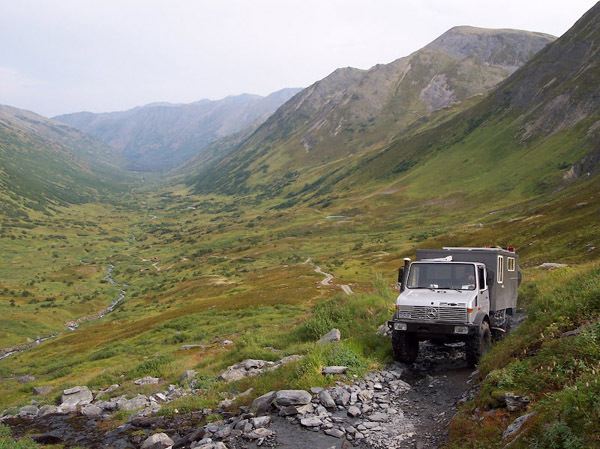 Beyond that the exterior workmanship, and the condition of the chassis seems fantastic. The box itself, and all of the custom storage looks great. 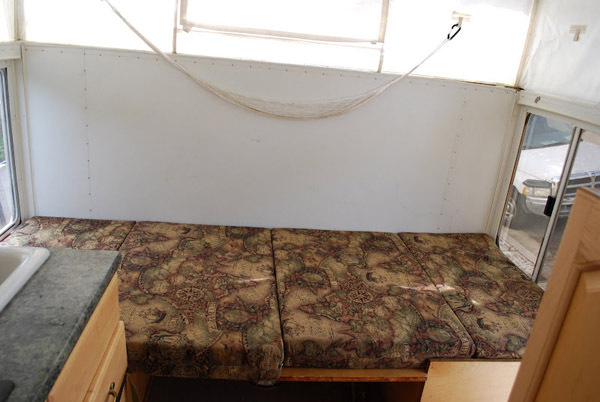 Be sure to check out the listing for all of the details. 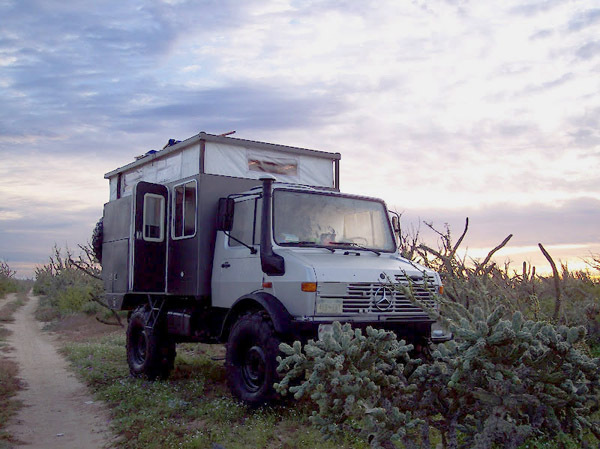 Moving on, the silver camper in San Diego makes use of a popup to keep the box height lower. 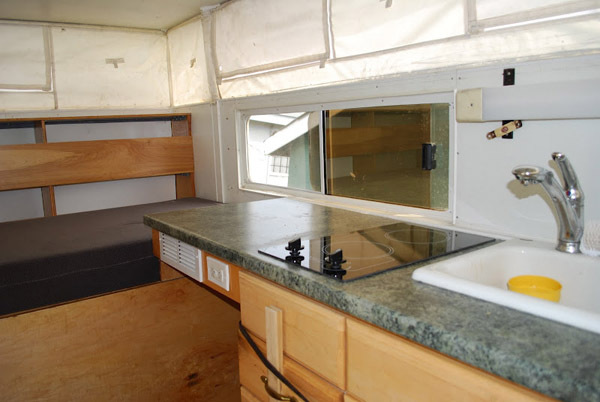 The workmanship looks first class too, and the seller posted pictures of the entire custom build process on his Picasa page. If it’s still available, $55,000 seems like a good deal, especially since it includes a Zodiac inflatable, shown below emerging from its custom storage locker. Click past the break for a bunch more photos of the silver 1978 U1300L, including some interior and construction shots, as well as all of the source links. 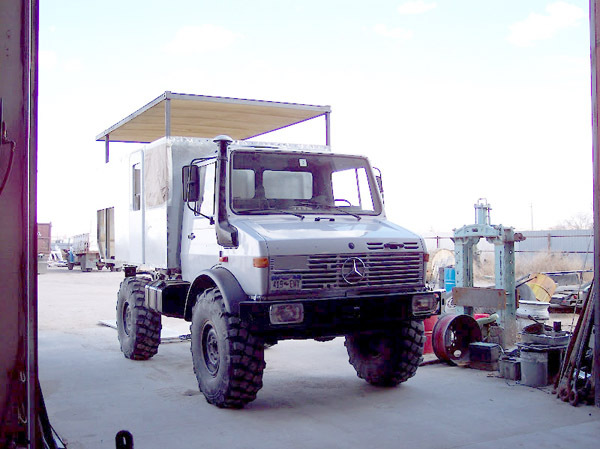 Sources: Unimog Shop website, U1400L listing, U1300L listing, U1300L seller’s Picasa page, Unimog Shop Facebook Page. 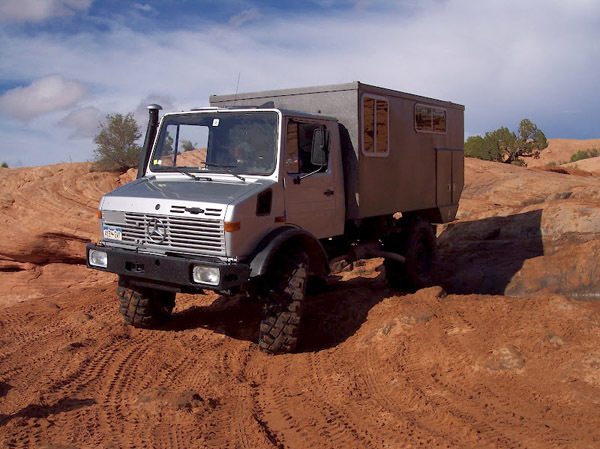 If you really dig Unimogs, be sure to ‘Like’ Unimog Shop on Facebook. They seem to have quite a bit going on and their news feed will keep you on top of all the new items listed on the site.